it's hard to believe that the school year is more than half over. the bean has been super busy with her activities, and it's always fun for me to watch her and reflect on how far she's come. 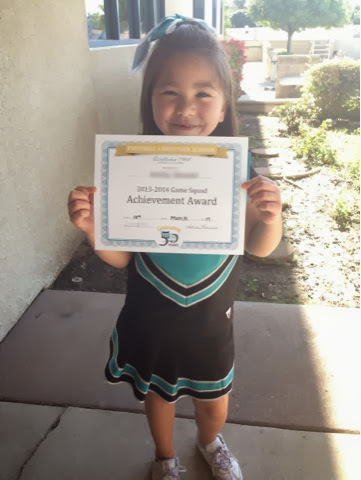 like, her cheer squad celebrated the end of the season this week. the girls received certificates and did a little performance for their parents out in the playground. 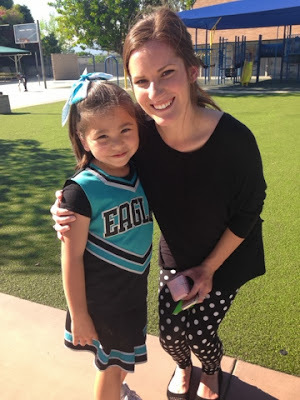 her coach is pregnant and due sometime this summer. since it's still up in the air as to whether she'll be back next year, i figured i'd get a picture of them together. afterwards, she got to pick out a treat from the snack bar. 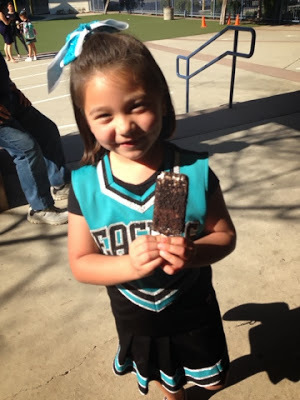 not surprisingly, she went big with an oreo ice cream bar. 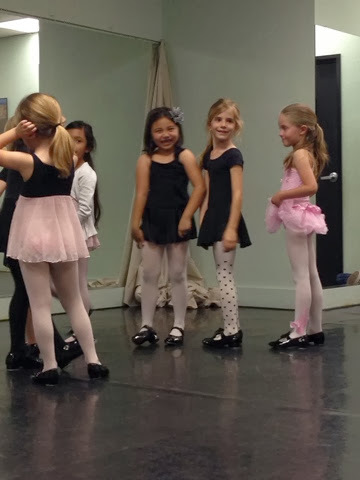 she's also super hard at work at dance class. 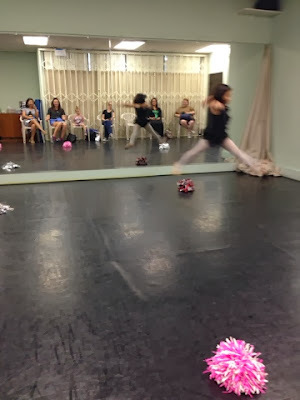 rehearsals for their annual recital are in full swing, and parents were invited to sit in on class this week to observe and take pictures and video. 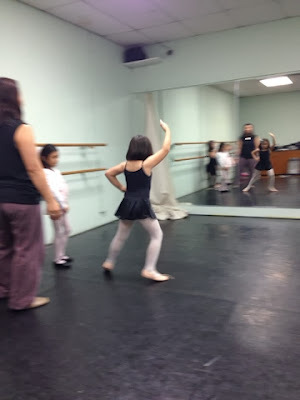 this was the first time i'd gotten to see the dance they're learning for the performance, and all i can say is that it's super cute and i can't wait to see the whole thing. i got an email from the director of her dance studio inviting her to join their competition team for tap. as i watched her in class and saw how well she was doing, it made sense. but when i asked her about it, she didn't seem very interested at all. looking over the guidelines for team dancers pretty much solidified my initial reaction to decline. it's a pretty big commitment for at least a year, and if she isn't even really that into it...well, maybe we can revisit it next year. 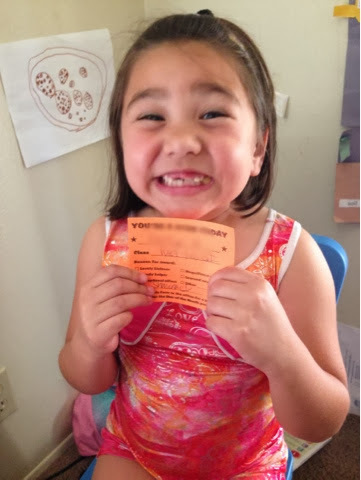 school is going really well too, with a very positive parent-teacher conference followed up by a glowing report card. 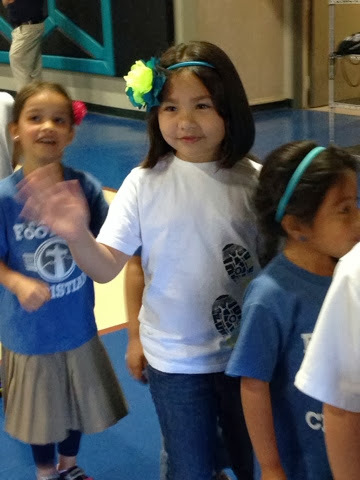 yesterday was the awards assembly for the second trimester, where she accepted a certificate for bible verse memorization. later, her teacher stopped me to say that she had actually earned an award for citizenship too, but because she was limited on how many of those she could give out she had to just do it verbally with us. since the bean had earned one last trimester too, i was totally fine with that. it's always good to hear nice the things about your kids, so i liked that she took the time to tell me about it anyway. gymnastics is going really well too. i'm still amazed at how much she's learned to do, and at yesterday's class she earned the "star" card again for the first time in a long while. with all those activities, i guess i shouldn't be surprised that we're at birthday parties every weekend, huh?